Whether you are looking to start silver soldering or are looking to replace your existing brazing kit thisSievert kit is the perfect place to start. 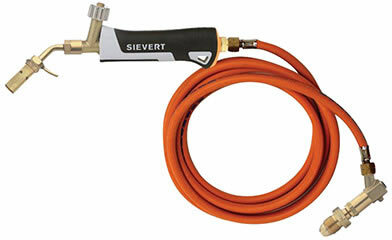 TheSievert kit gives you everything you need to get up and running (except the propane). The kit is also compatible with the entire range ofSievert Pro88/86 burners and neck tubes which allows the user to build a complete brazing solution as and when required.